Home » Did Gulen Order The Hit On The Russian Ambassador? Did Gulen Order The Hit On The Russian Ambassador? The better question to ask is, “does it even matter?” Well, yes, in the sense that what matters is who’s leveling these accusations and why, not necessarily how provable they may or may not ultimately be. 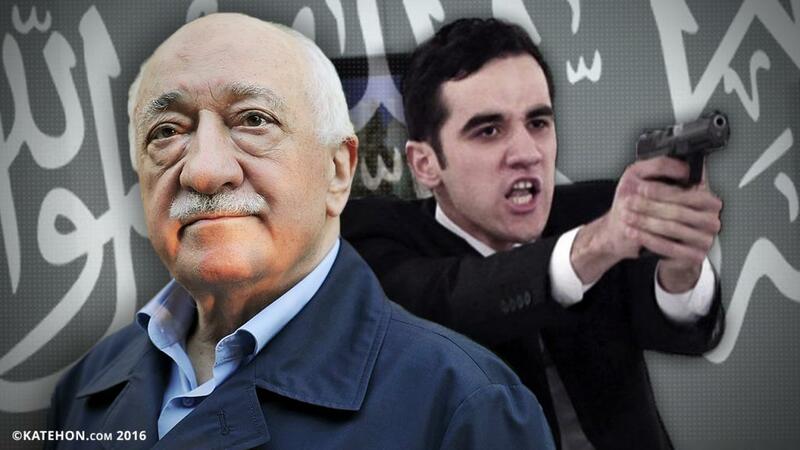 As of now, two of the most high-profile individuals in the Turkish state are suggesting that the American-based coup suspect and alleged terrorist backer Fethullah Gulen had something to do with the assassination of the Russian Ambassador to Turkey. What’s important to pay attention to isn’t necessarily the veracity of these allegations, but the fact that they’re being voiced by the country’s most important politician and its top diplomat. This is the closest that a world leader can get to blaming the US for this terrorist attack without directly saying as much, which in a sense channels what the Russian suspicions have been all along. One should remember that President Putin publicly voiced his belief that the Ambassador’s assassination was intended to derail the Tripartite talks that were to be held the next day in Moscow between Russia, Iran, and Turkey, strongly inferring that they were connected to whatever actor or set thereof which wanted to see this historic game-changing framework fail. It’s not expected that any conclusive evidence one way or another will ever be publicly revealed which undoubtedly proves the assassin’s connections, if there even were any and he wasn’t a “lone wolf”, that is. Nevertheless, the fact that Erdogan and Cavusoglu are insisting that Gulen had something to do with this terrorist attack shouldn’t be dismissed as a self-interested domestic ploy to conveniently blame everything which goes wrong in the country on this shadowy figure. Instead of being the predictable knee-jerk reaction which Turkey’s critics truly believe that it is, it’s much more important to pay attention to how this dramatically and unprecedentedly represents a nominal NATO “ally” openly accusing the US of sheltering an international terrorist who’s officially being blamed for complicity in the assassination of a Russian Ambassador in its capital city. Moreover, the Turkish government has shared these concerns with its Russian counterpart, which has ambiguously chosen not to comment on them yet in order to preserve an aura of diplomatic uncertainty which can keep the US on edge and guessing about what Moscow really thinks. Coupled with the coordination between Russia and Turkey through the Tripartite format, Washington thus has reason to believe that Moscow and Ankara are closer than ever before in their history because of how their two Presidents are now working together to figure out who ordered the hit on the Ambassador, with Erdogan saying that it’s US-based Gulen and Putin cleverly choosing to entertain this theory by declining to deny it. Analyzing this event from a larger angle, it’s vividly clear that Turkey is signaling that it’s completely fed up with the US and is decisively pivoting towards Eurasia, as was predicted by the author in the immediate aftermath of the failed pro-American coup attempt this summer. Consequently, although the argument might appear to be a factually flimsy one so far, Turkey’s assertion that Gulen ordered the hit on the Russian Ambassador shouldn’t be met with mockery but with merriment by multipolar supporters because of how it powerfully represents Ankara’s rejection of Washington and its embrace of the emerging Multipolar World Order. Saving Syria vs Getting Rid Of Gulen: What’s More Important For Russia?